The G7 summit ended up being particularly tumultuous this past weekend, intensifying disputes between the US and its closest allies and turning what is usually a staid diplomatic event into a battleground for national interests. Members were unable to even agree on a pact about plastic pollution at the summit held in La Malbaie, Quebec, in Canada on June 7 and 8, according to the Globe and Mail. 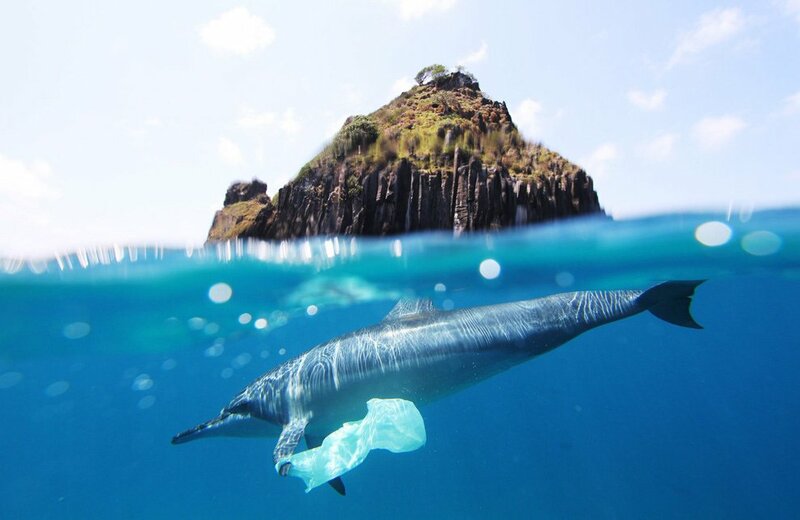 The United States and Japan both refrained from signing the charter, which calls on countries to reduce single-use plastics, prevent plastic from entering the world’s oceans, clean up existing plastic pollution, and invest in technologies for monitoring the impacts of the problem. The G7 Ocean Plastics Charter was signed by representatives from Canada, France, Germany, Italy, Britain, and the European Union, all of whom vowed to join the global fight against plastic waste. “We ... commit to move toward a more resource-efficient and sustainable approach to the management of plastics,” the pact reads. A footnote in the document clarifies the US position. In other words, the US is opposed to global agreements that mention climate change, as evinced in the country’s withdrawal from the Paris climate agreement. It’s unclear why Japan chose not to sign the measure, according to the Globe and Mail. Canada, as the host country, committed $100 million to fight plastic pollution in the world’s oceans, the Globe and Mail reports. “This is good news not only for the environment, but also for businesses, who can stand to benefit from reducing the costs associated to plastic use,” Trudeau told reporters on Saturday. The United Nations applauded the introduction of the charter, but urged participants to take greater action. The global effort against plastic pollution has been gaining momentum in recent years and more than 60 countries have taken action on the issue so far. As Guterres emphasized, the movement has focused on the world’s oceans, which are polluted with more than 8 million tons of plastic every year, the equivalent of a garbage truck full of plastic being dumped into a body of water every minute. Plastic has been shown to kill animals ranging from whales to coral and breaks down into small, toxic microplastics that are consumed in large quantities by marine creatures. The G7’s Ocean Plastics Charter is relatively uncontroversial in its demands, echoing what multinational companies and environmental groups have both recognized. And even though President Donald Trump refused to sign the agreement, states, cities, and companies across the US are fighting plastic pollution in their own ways. For example, single-use plastic straws and bags are beginning to be banned throughout the country.